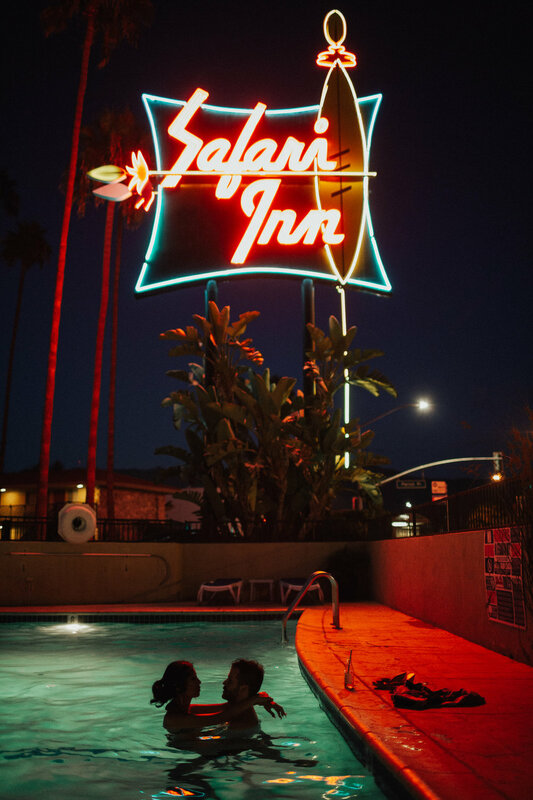 Mandy & Costanza wanted to shoot at the Safari Inn as a nod to the classic film True Romance. They are both such unique and imaginative people we knew a non traditional engagement session was the right fit. They wore matching hawaiian outfits (which we think is pretty damn awesome) and Mandy got her amazing nails done in theme! We got a room, got into character, and even took a dip in the pool. We are kinda in love with the end result. Check them out below.